Spring Valley, NV is just south of our headquarters in Las Vegas, and that means our expert HVAC techs can be at your house quickly to service and repair your air conditioning system. 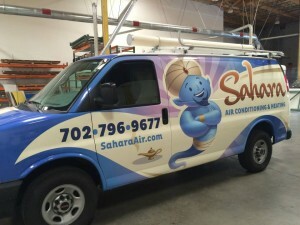 Sahara Air Conditioning has been taking care of residents and businesses in Spring Valley for over 30 years, and we look forward to earning your trust and becoming your AC repair company of choice. With fully-stocked vans and NATE certified HVAC techs, we guarantee all air conditioning repair and replacement work 100%. Call 702.796.9677 today for emergency air conditioning repair and service, or to schedule an appointment for AC maintenance. Emergency AC Repair Service – we’re standing by 24/7 to assist when your AC breaks down after hours. Air Conditioner Installation (New & Replacement) We’ll work with your budget and needs to find the ideal replacement air conditioning system for your home or office. A new, highly efficient air conditioner can save you money on your utilities, while keeping your family cool and comfortable. Ductwork Design, Fabrication, and Installation Building a new house, or adding onto your existing one and need duct work? Call Sahara Air for quality fabrication and installation designed to maximize your family’s comfort. Indoor Air Quality (IAQ) System Installation & Service Your indoor air quality can be much worse than the outside air. Protect your family with air purifiers and air filtration systems. Whole House Humidifiers Installed and Maintained Living in the desert, it’s important to maintain the proper humidity in your home. If the air is too dry, it could lead to respiratory problems, dry, itchy skin and bloody noses. Learn about your whole house humidifier options from the experts at Sahara Air Conditioning.